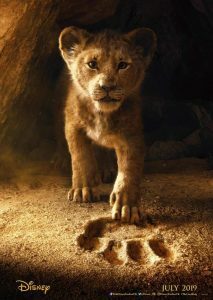 You are here: Home » GENRE » Fantasy » The Lion King (live-action 2019 movie) (trailer). Here’s the 2nd trailer for the ‘live-action’ Lion King movie. Not so sure about the ‘live-action’ tag for this flick – isn’t this just 3D CGI animation versus the old hand-rendered sort? It’s not as if they have Jeremy Irons on all fours pretending to be Scar, now, is it? Those are some pretty big paw prints to fill up, little kitty! « The Magazine Of Fantasy & Science Fiction, Sept/Oct 2018, Volume 135 #739 (magazine review).